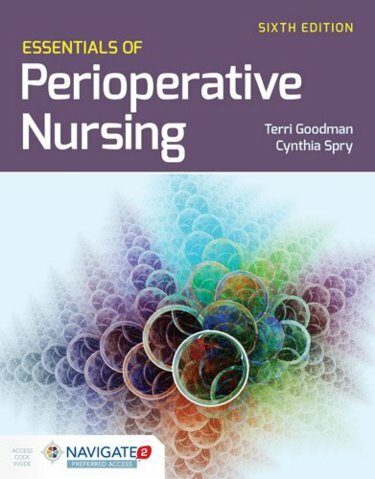 Abstract: Essentials of Perioperative Nursing, Sixth Edition is an essential reference for new perioperative nurses as well as experienced nurses who need a refresher. Succinct and easy to use, it addresses the basics associated with navigating the perioperative environment rather than a procedure-oriented approach. Ideal for nurses, students, and perioperative nursing staff, it is also a helpful study guide for CNOR certification. 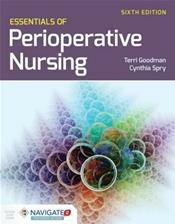 Completely updated and revised, the Sixth Edition reflects the most current research findings, literature reviews, and the latest Association of periOperative Registered Nurses (AORN) perioperative guidelines. In addition, it features a greater emphasis on safety, new surgical modalities, and approaches to sterilizing surgical instruments and equipment. Each chapter contains objectives, a lesson plan, study questions, a post-test, and a competency checklist to help organize, assess, and reinforce learning. Each new print copy includes Navigate 2 Preferred Access that unlocks a comprehensive and interactive eBook and Navigate 2 TestPrep.